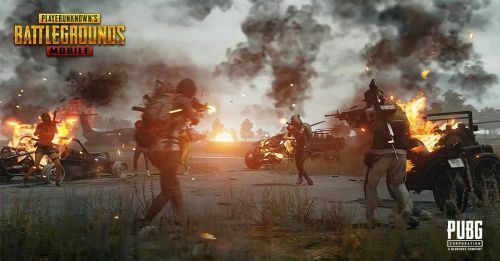 The Player Unknown's Battlegrounds (PUBG) Mobile would soon be adding a subscription system to help users convert the Battle Points (BP) into Unknown Cash (UC), say few popular YouTubers. The news has been released by PUBG Mobile YouTubers Mr Ghost Gaming and Allthenewsisgoodnews on their channels stated that the subscriptions are available in KRJP server - that too implemented in a different way. According to them, Tencent would likely to add the same on servers in its upcoming updates. Being a loyal PUBG Mobile fan, we all know how hard it is to earn UC in the game. Without an adequate amount of UC, we can't even purchase our favourite items in the lists. Purchasing Chicken Hat, Reddish Suit, and the dead skeleton is still the dream of many PUBG Mobile players. However, if the rumours come true, soon we would see a surprise in our servers. The basic thing that comes to mind is the price of the item to purchase. In case you're wondering that PUBG Mobile Prime Subscription will be costly, then you're wrong. The price of the PUBG Mobile Prime Subscription is just $0.99 per month i.e. around 71 INR. For the latest PUBG News, stick to Sportskeeda. Most possibly, we will get 150 UC along with some coupons like IDs and UCs on every log-in. Not just this but the prime users will also get the chance to convert the BP into UC (up to the desired amount only). If you choose this subscription pack, you will get around 900 UC for the very first month.